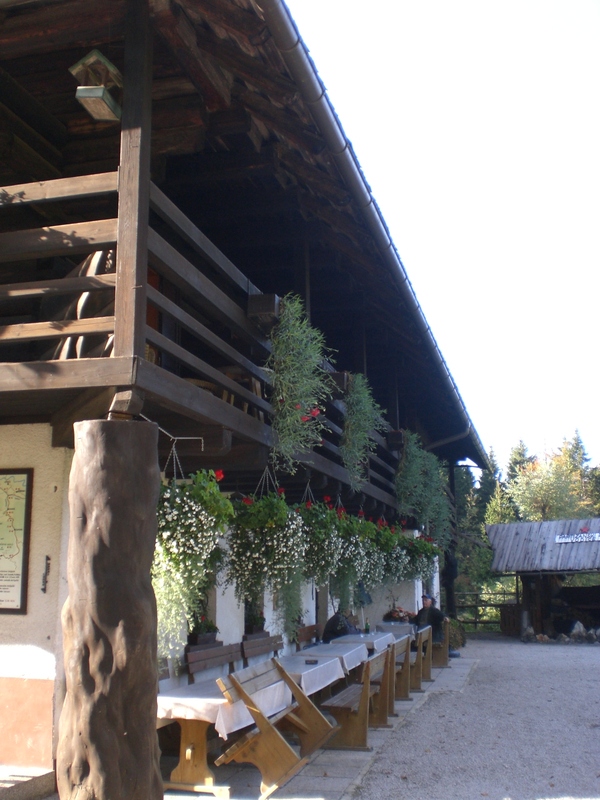 Radovljica – small but perfectly formed! This week we have been treated to sunshine, warmth and a riot of spectacular autumn colours. Deservedly so I’d say, after the abysmal start to October. Unfortunately, I haven’t been able to take full advantage of the glorious weather as I’ve been a bit under the weather myself and resigned to looking longingly out of the window wishing I were elsewhere. So this week, rather than a trip report, I will write about other subjects. However, if you are looking at this blog in the hope of getting some ideas and inspiration for what to see and do, where to walk, where to eat etc. 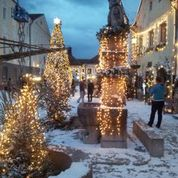 in Slovenia, and particularly in my home town of Radovljica, and its surroundings, then take a look through some of my previous posts – there should be more than enough – or if not, just ask! When I moved to Slovenia in 2007 the country, and it’s economy, was flourishing. It had joined the EU and had just adopted the euro. They were prosperous times. House prices were rising rapidly, business was booming and there was a general air of optimism. However, today sadly, it is a very different picture. The economy is ailing and successive governments seem to be making, quite frankly in my humble opinion, a pig’s ear out of pulling the country, and its citizens, out of ever increasing despair. 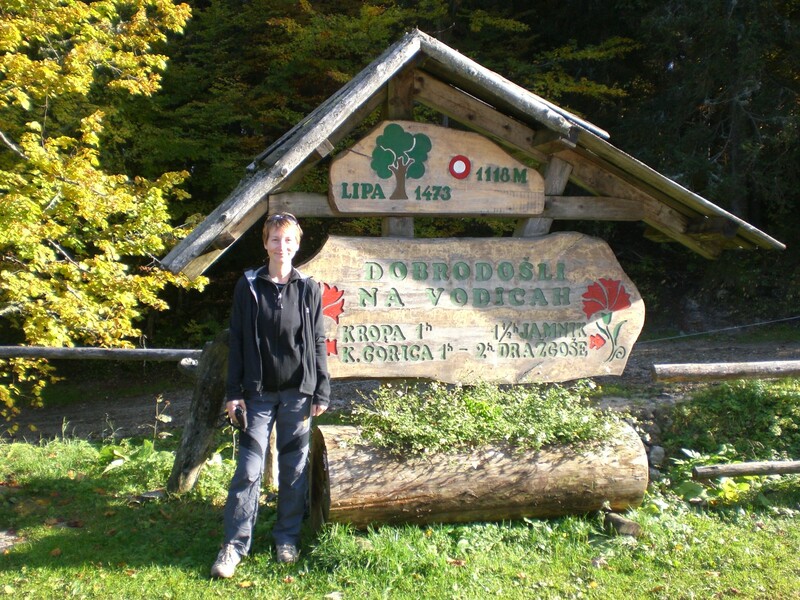 Since the aim of my blog is primarily to write about my life and travels in Radovljica, with the aim of increasing its awareness and helping potential tourists and visitors, it’s not my intention to make my blog a place to air such issues but sometimes one just needs to vent a little. So I will from time to time, but not too often, I promise! The tourism section however is still booming and this past year has seen visitors numbers grow in Radovljica and also throughout Slovenia. Judging by the number of readers of my blog, from all corners of the world, and the positive comments I have received, there is ever increasing interest in Slovenia as a holiday destination and I hope I may, and continue to, play a small part in helping to raise awareness about Radovljica and its surroundings – the beautiful place I call home. 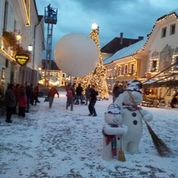 Though not a big town, Radovljica is blessed with good infrastructure and services for residents and tourists alike, as well as being ideally located for lovers of outdoor activities, with the Julian Alps to the south and the Karavanke range to the north, Bled just a few kilometres away and Bohinj lake a little further. In town there is the olympic-size swimming pool, open-air during the summer and covered during the winter, the cinema (Linhartova dvorana), bowling, a medical centre, library, several good-quality restaurants, numerous cafes and bars, shops, and the compact medieval old town centre which is home to museums, a gallery, church and the imposing Mansion House. It can be so easy to take forgranted what we have around us so I try to get the best out of living here; hiking in the surrounding mountains, cycling, walking or running beside the Sava river, going to concerts, attending and supporting local events such as the Chocolate Festival, the Festival of Honey as well as the regular talks, presentations, discussions etc. held in the library. This week I also went to the cinema to watch the film ‘More than Honey’, which I wrote about in a previous blog (September 2013 – Radovljica and Beekeeping). The cinema was packed; proof that beekeeping is one of Slovenia’s national passions, and especially now when bees and their habitats are so under threat. The film was followed by a discussion with beekeeping experts and tastings of honey and honey schnapps – in my case drunk purely for medicinal purposes! To say the weather last week the past two weeks has been awful would be a gross understatement so best not to mention it! Fortunately, yesterday and this morning the sun finally made a brief, but very welcome return. I even managed a short bike ride this morning which was a bonus as I thought the cycling season was all but over, though I probably looked something more like Michelin Man, wrapped up as I was in copious layers. Yesterday a friend and I made a short trip up to the Vodice highland (Vodiška planina), which is at 1118m above the village of Kropa. 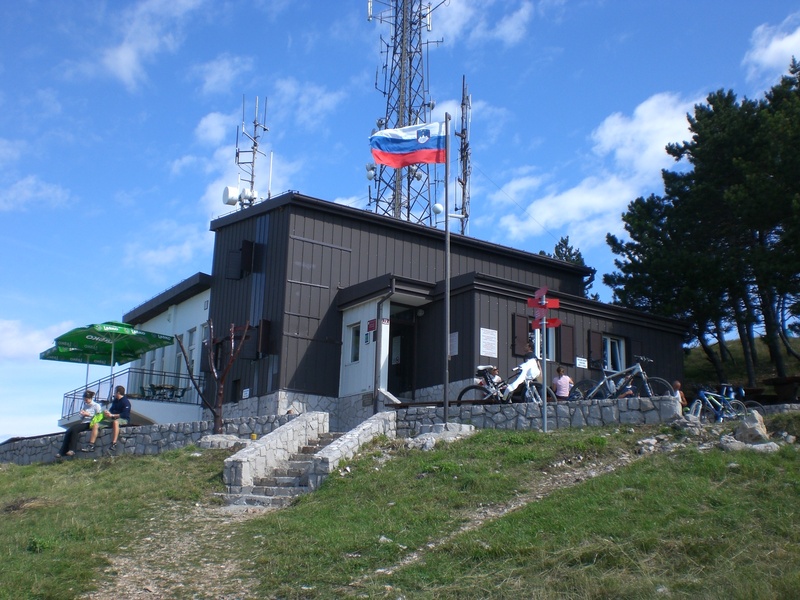 Vodiška planina is a popular destination for hikers and cyclists, who also like to visit the Partizan hut (Partizanski dom) for refreshments. The hut, and its predecessor which stood in the same place, have had a long history. 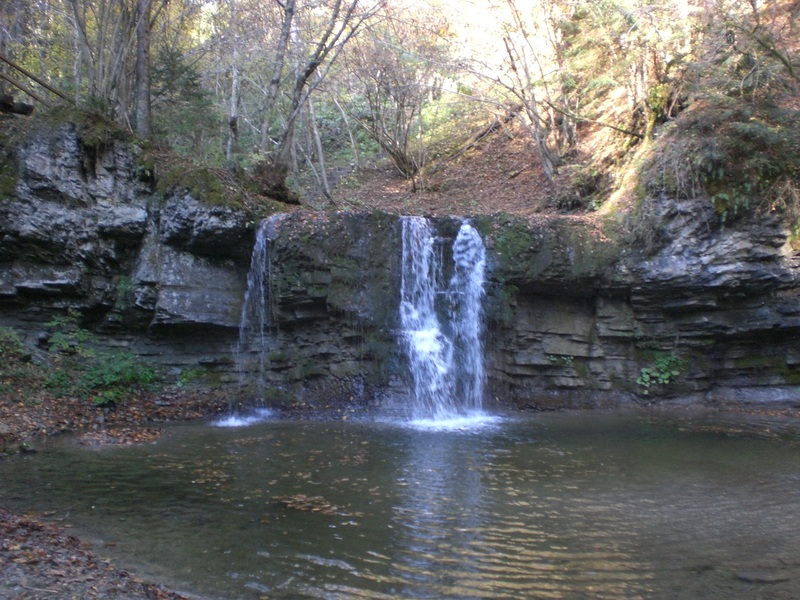 During both World Wars it served as a gathering place for communists from the Gorenjska region and nearby, in 1936, was the location of the first partizan conference of the Jesenice district. 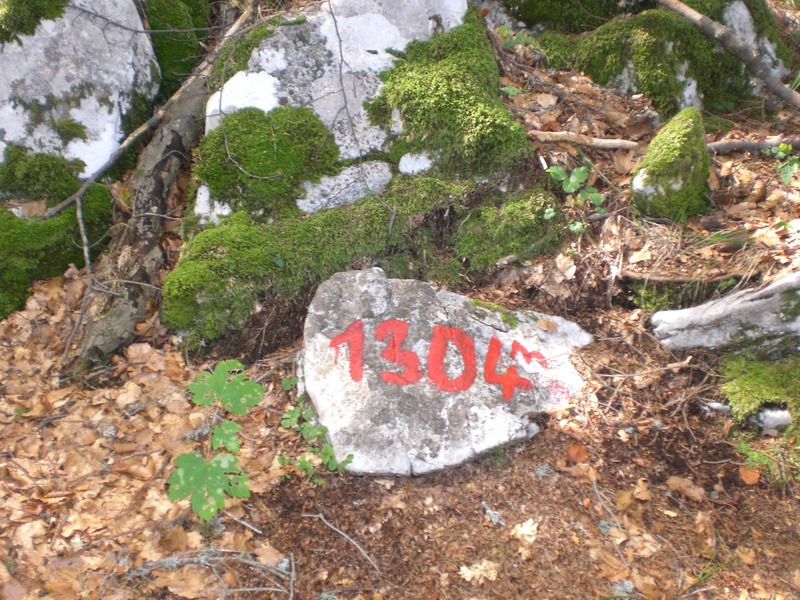 It was also here that in 1941, that a resolution was passed for the beginning of the Gorenjska uprising and on a nearby highland the Cankar Batallion was founded. 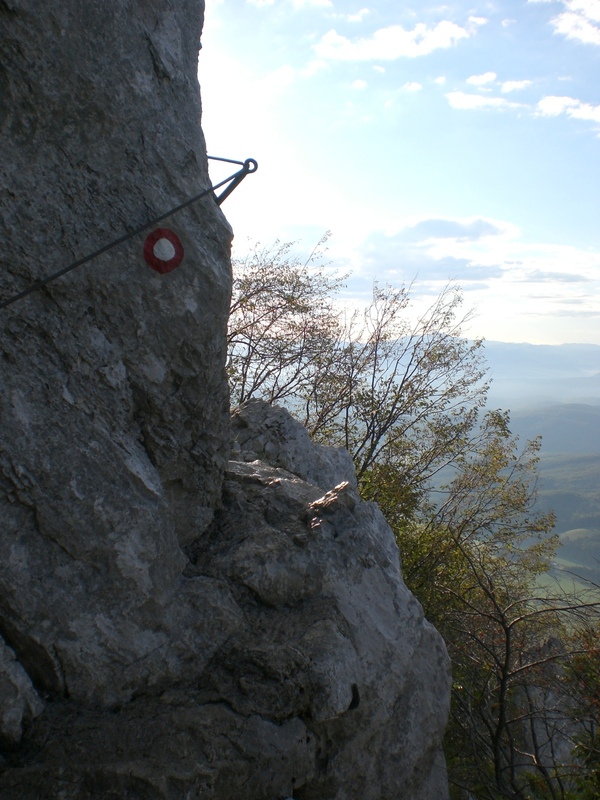 Vodiška planina and other parts of the Jelovica plateau played an important role in the formation of organisations against the enemy occupators. 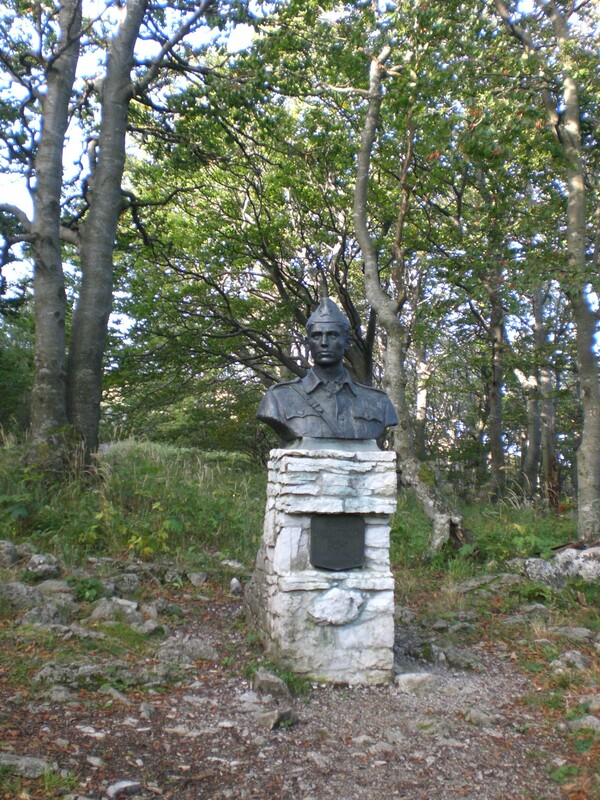 Every year, on the first Saturday in August, a gathering is held at the Partizan hut, in memory of the Yugoslav Front, otherwise known as the National Liberation War (Narodnoosvobodilni boj), with a memorial service and accompanying entertainment programme. 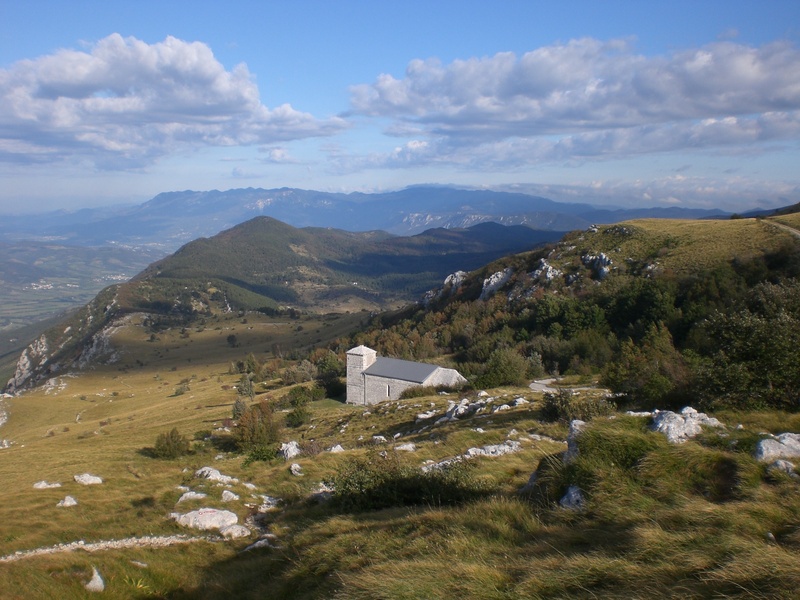 It is also possible to continue from the hut towards one of the highest points of the Jelovica plateau, Črni vrh (1304m). 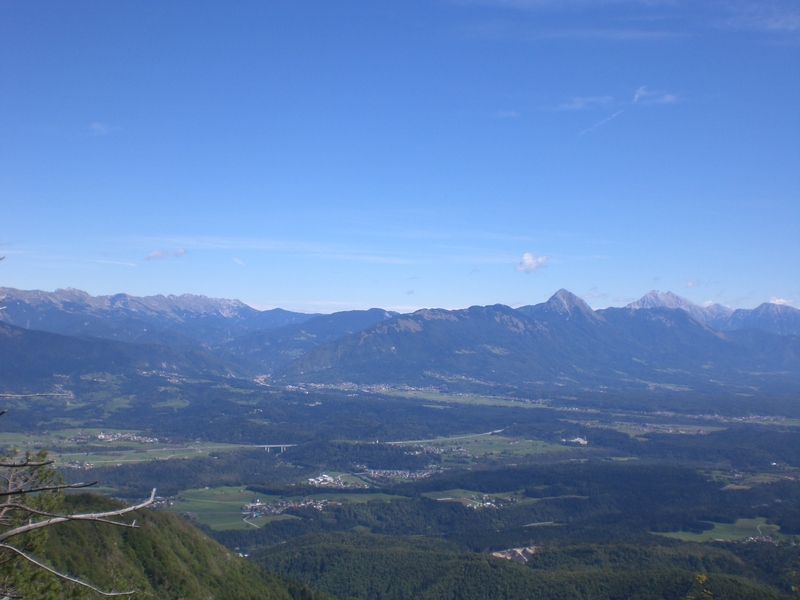 Just a few minutes further, there is a viewpoint which offers far reaching views across the broads Radovljica plains, to the east and west along the valley and to the facing Karavanke mountains and further towards the Kamnik-Savinja Alps. Since living in Slovenia I have undertaken a number of things to keep myself afloat. These days I mostly work doing translating (from Slovene to English) and proofreading. However, I have also done a number of other things including, some time ago, writing a new tourist guidebook about Slovenia, ‘SLOVENIA IN YOUR HANDS‘ which has recently been published and, even if I say so myself, looks great! The book is available in English and German and will soon be on sale in the Tourist Information Centre in Radovljica and elsewhere. If anyone is interested in seeing/ordering it, just get in touch (favourable discounts may apply!). The Chopin Golden Ring competition (Chopinov zlati prstan) will soon be returning to Radovljica. The international competition, which takes place annually at the end of October and is now in its 9th year, transforms the old town centre of Radovljica into a lively, creative centre for young musicians from all over the world. This year’s competition will take place from the 26th – 30th October. In addition to the piano competition, there are concerts and events which can be attended by the public. 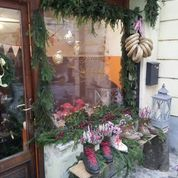 More about the events and tickets, can be found here – http://www.chopin-goldenring.si/koncerti.html. As an event opener, there will be an introductory concert taking place this week, on the 15th October, an Evening of Spanish Music and Poetry, to be held in Radovljica Library at 19.30, entry is free. 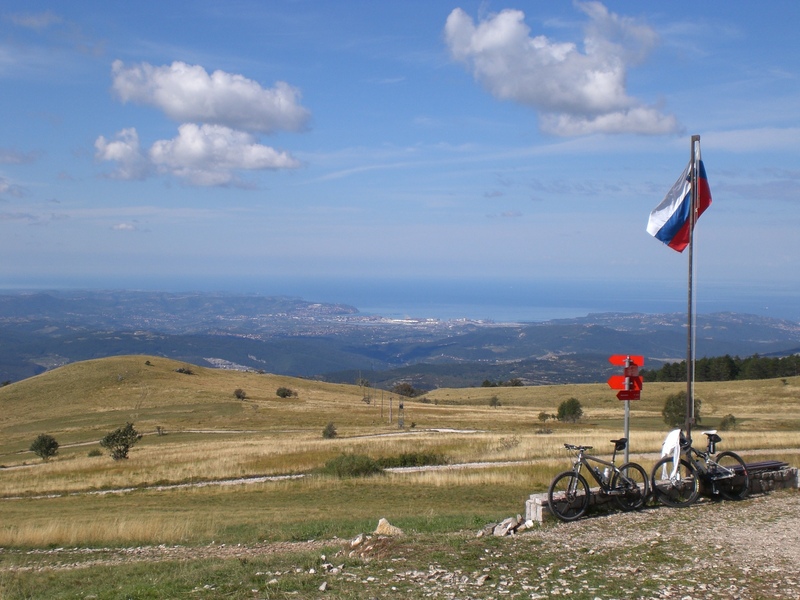 The Slovene Coast, To Koper – Part Two! Brrrr, it’s been freezing this week, unseasonably so. Usually this time of year can bring some nice warm days and with it some nice hikes in the mountains to enjoy the autumn colours. However, this week its been coats, hats, gloves and mugs of tea all round! I’m still optimistically hoping for an Indian summer, or at least a few nice warm autumn days – it can’t be winter, not yet! How different to the previous week when I was basking in sunshine at the coast, more about which I promised to write this week. I packed so much into my day out at the coast there was too much to write. So if you didn’t read it, check out last week’s blog to read part one of my day out! Slovenia only has a small coast line – 42kms to be precise. But as the saying goes ‘Small things come in big packages’ and this is certainly true. Koper is Slovenia’s largest coastal town and home to the country’s only port. It is therefore very much a working town and on first glance, looks somewhat industrial. However, it is worth a visit to the compact old town centre which has a hidden charm; narrow streets, town squares and several impressive buildings. An increasing number of cruise ships also now call at Koper. 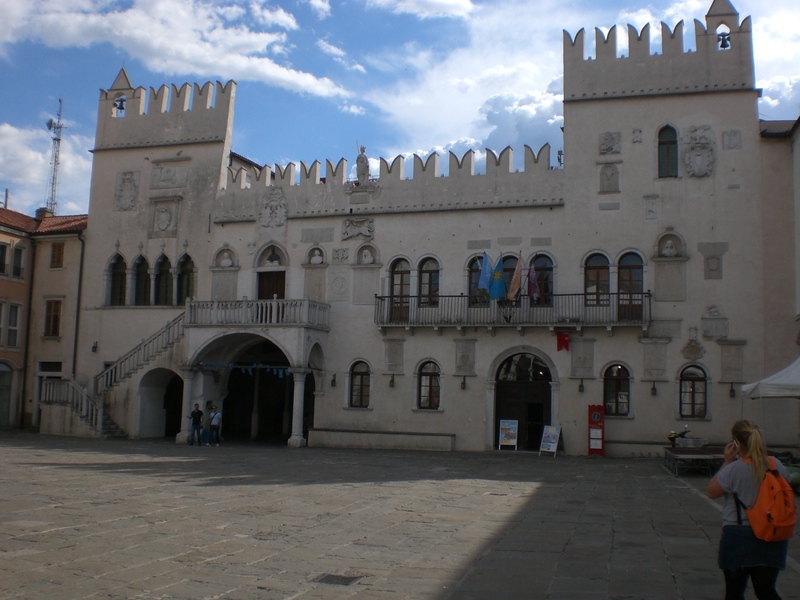 The centre of the old town is Tito’s Square (Titov trg), which is dominated on the south side by the city hall Praetorian Palace (Pretorska palaca) whilst on the northern side of the square is the Loža (Loggia) building which was formerly used as a debating club for the townsmen but today houses a cafe and art gallery. 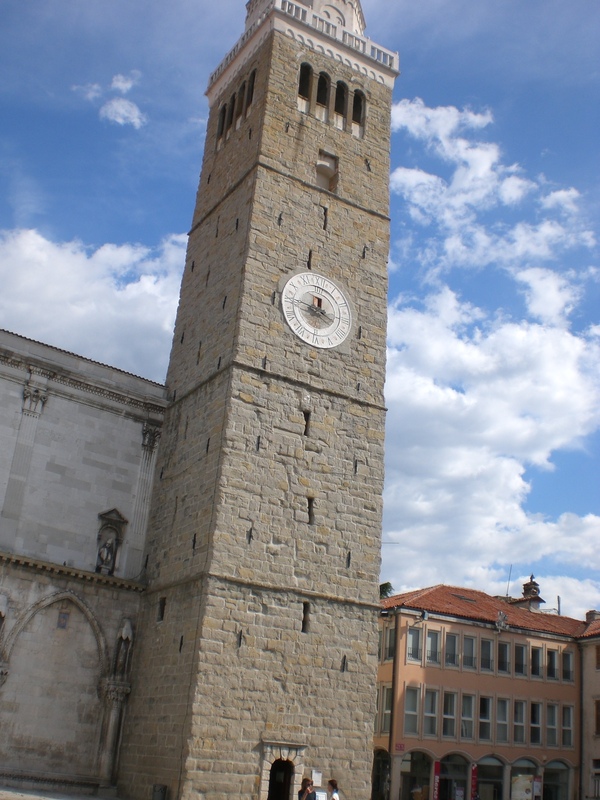 Some of the other buildings of note in Koper are the Cathedral of St. Mary’s Assumption, the 36m bell tower opposite it (climb it for great views), and Brutti Palace in Revolution Square (Trg Revolucije). 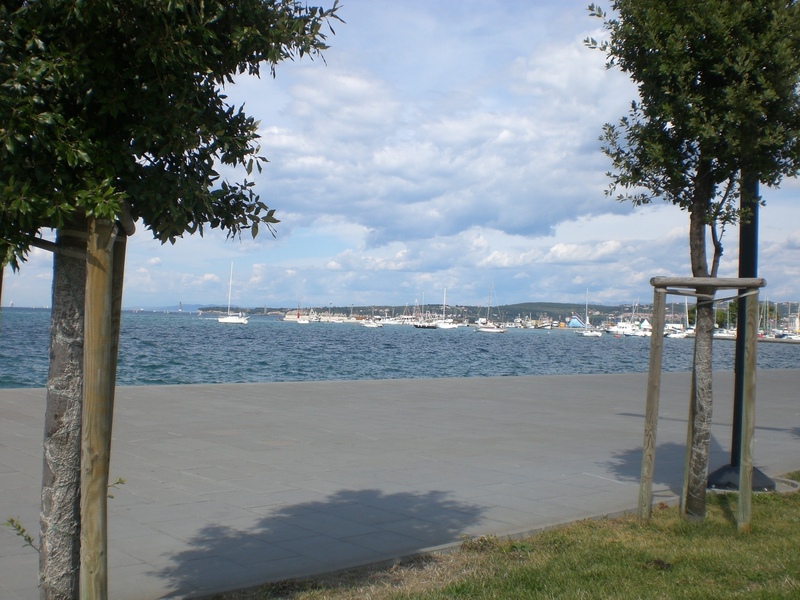 Koper doesn’t have much in the way of a beach but the paved embankment area has plenty of benches, a wide paved area and far reaching views and is a great place to just sit and soak up the views before or after a stroll around the town. Numerous events are held in Koper throughout the year but the one that I always make a beeline for is the Sweet Festival – Sladka Istra – held annually in September. For someone as sweet-toothed as me, it is heaven; stall after stall offering all manner of cakes, biscuits, drinks, chocolates and other heavenly sweet delights. I spent a plesant couple of hours browsing the stalls, tasting, deciding what to buy, sitting enjoy the sun, people watching and soaking up the atmosphere. This week a new photograpy exhibition opened in the Mansion House (graščina) in Linhart Square in the old town centre of Radovljica. The photographer, Tomaž Sedej, is my neighbour so of course I was intrigued to go along and see his work. The photos are of children, taken over a long period of time, in different situations and environments and he has successfully captured some of their unusual adventures in more informal manners. I’m no expert but the photos really are quite unique and its well worth stopping by if you are passing. The exhibition is in the Pasaža Gallery (Galeria Pasaža) in the entrance hall of the mansion house and is open at all times for free viewings from 1st – 31st October. Whilst in the area, you might also be interested in the following events taking place in, or near, Radovljica next weekend. 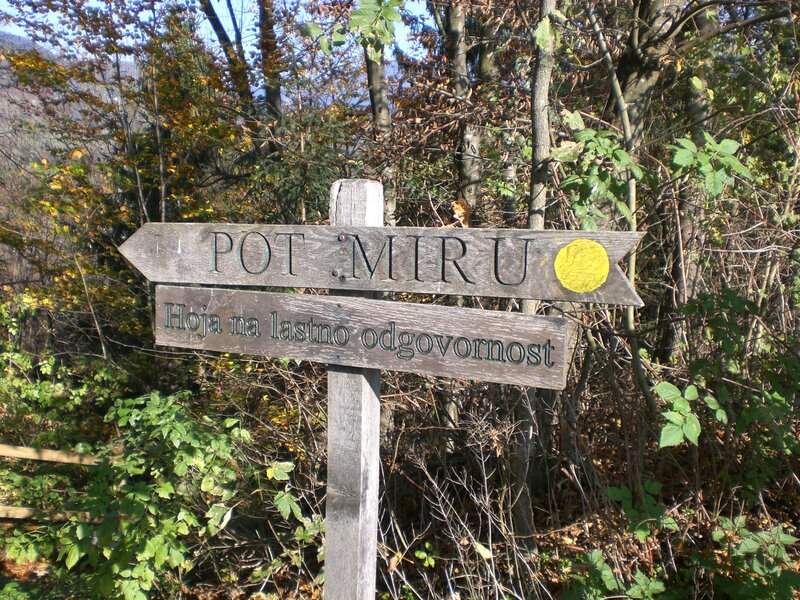 On Saturday 12th October, there will be a Family Activity Day in the village of Ljubno. Beginning at 10am at the football playing fields, the day will include orientation adventures, nordic walking, a market and more. 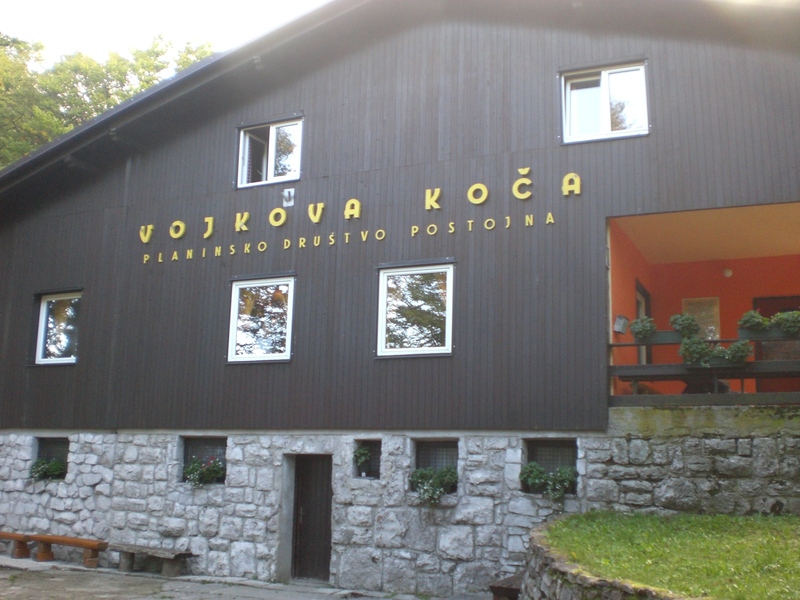 On Sunday 13th October, there will be a concert in the Radovljica Mansion House, performed by the Radovljica Veterans Choir. The concert will begin at 6pm and entrance is free.